Pharma and patient groups are dismayed by new cost-capping and delaying measures, which they say will further restrict access to new medicines in England. Last week’s confirmation that NHS England is to introduce a new £20 million ‘Budget Impact Test’ on new medicines was greeted with horror by the pharma industry and health charities. They say access to new cancer drugs and other breakthrough therapies could be delayed, making England even slower in adopting new medicines than it already is. NICE says 1 in 5 of the drugs it approves could trigger the NHS England test, which comes into force from 1 April. Industry body the ABPI says the move ‘flies in the face’ of the government’s pledge to make the UK pharma sector a world beater after Brexit. 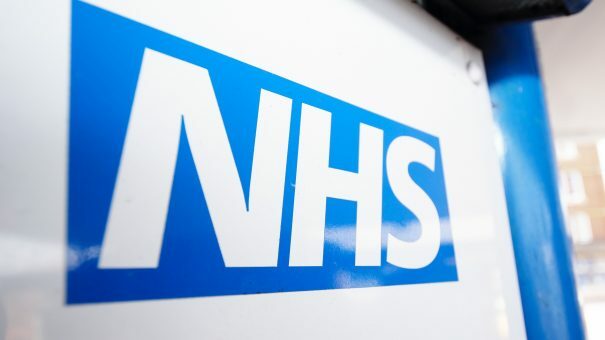 But NHS England’s move could face a legal challenge. That’s because the Budget Impact Test (BIT) seems to break two statutory rules allowing access to new medicines – an access-within-90-days rule following NICE approval, and a pledge in the NHS Constitution. The ABPI also pointed out that the BIT broke a 2015 Conservative party manifesto pledge to ‘speed up the introduction of cost-effective medicines into the NHS’. The industry might have hoped this could embarrass the government into a U-turn on the policy, as this is what happened to Chancellor Philip Hammond’s manifesto-breaking rise in National Insurance. However the new £20 million spending cap hasn’t sparked outrage in the public or Parliament in the same way. That means the industry and patient groups can only plead for a re-think – or take the matter to court. Angela McFarlane is market development director at QuintilesIMS, and one of the leading UK market access experts. She says the new rule completely undermines any claim that the government is sincere in building an end-to-end Life Sciences Industrial Strategy, aimed at maintaining UK attractiveness post Brexit. She believes the new rule could see companies de-prioritise England as a key early-launch market, and consequently reduce investment in clinical trials in the UK. She believes that the new test tramples over the statutory rule of 90-day funding of NICE positive decisions and even the NHS Constitution. The industry has been joined by many charities and patient groups in calling for the policy to be scrapped. The country’s biggest charity, Cancer Research UK, points out that England already lags behind its European counterparts in uptake of new medicines. Once a drug is NICE-approved, if it is forecast to cost £20 million or more for its first three years on the market, the BIT will be triggered. If no further discounts are agreed, NHS England could use measures to delay full access by three years. For pharma companies, this would mean a second round of price discounts, as many have to offer ‘patient access scheme’ discounts in order to pass NICE’s initial cost-effectiveness threshold. The Test will therefore take a second bite of the cherry, or companies will otherwise face very limited and delayed access. Not a way of preventing access? NICE’s chief executive Sir Andrew Dillon has told pharmaphorum that the test has been misunderstood. “The Budget Impact Test isn’t a binary decision that has a clear and predictable effect of preventing access to treatment,” he states. He says it could even be an opportunity to create a better ‘managed entry’ system for new medicines into the NHS. Despite Sir Andrew’s optimism, the industry knows that NHS England is under huge budgetary pressure, and is extending a tried-and-tested tactic of delaying market entry to save money. 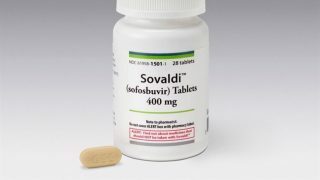 The new policy is built on NHS England’s intervention on Gilead’s revolutionary hepatitis C drug Sovaldi in 2016. NICE ruled the drug was cost effective, but NHS England pointed out that this wasn’t the same as being ‘affordable’ for the NHS – costing over £100 million a year in extra costs, based on its £35,000-per-patient cost. NHS England insisted that the NHS should have double the usual 90 days in which to begin funding the drug. Now this rule will become a formal mechanism from 1 April this year, and NHS England could delay full introduction for up to three years. 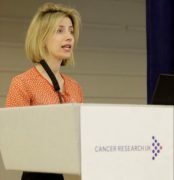 Commenting when the decision was announced last Thursday, Sarah Woolnough, Cancer Research UK’s executive director of policy and information said the decision should be reversed. “If NICE thinks a cancer treatment is clinically effective and represents value for money, then patients should receive it without delay. A system that could add up to a three-year delay before patients can access treatments deemed clinically and cost effective is unacceptable. Cancer patients may lose their lives while they wait. Are pharma’s prices too high? NICE frequently agrees confidential price discounts with pharma, and the new negotiations will not disclose the final agreed price either. This means it’s unclear just how far pharma will drop its prices, though it is thought to be sometimes more than 50% of list price. The UK industry fears that global headquarters will judge that NHS England’s move will be the straw that breaks the camel’s back. Added to the huge uncertainties created by Brexit, they could judge the country no longer a priority for new drug launches, or even decide not to launch a product at too low a price, as has been seen in Germany in recent years. 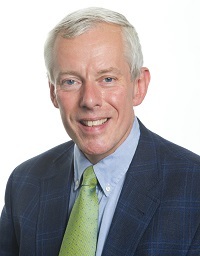 NHS England’s Acting Director for Specialised Commissioning, John Stewart, commented on the changes last week. He emphasised other changes to the NICE appraisal system, which involve allowing faster NICE appraisal for the most cost-effective medicines (i.e. those with a QALY of less than £10,000). Stewart also stressed that NHS England had responded to feedback on its plans for rare disease medicines appraised through NICE’s Highly Specialised Therapies system. NHS England had originally proposed a cost per QALY threshold of £100,000 for these rare disease drugs, but was persuaded to raise this to £300,000. Nevertheless, patient groups such as Rare Disease UK fear this new threshold will see many new rare disease medicines rejected by NICE. NHS England didn’t respond to questions regarding the legality of its new measures, though it is certain to run the changes past its own lawyers. It has been caught out before, however, having been twice challenged by Judicial Review by patient groups, and defeated on both occasions. Rare disease group the MPS Society forced it to change its decision-making process after this was ruled unfair, and the National Aids Trust won a victory last year on funding HIV PrEP drug Truvada. 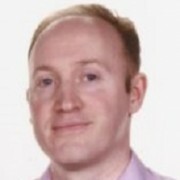 The ABPI’s Catchpole says NHS England has probably concluded that financial constraints can be a criteria for varying the funding – but says the opposing view is also reasonable, and will ‘probably need clarifying’ legally. Legal challenges could come from individual pharma companies, the ABPI or from patient groups, but will have an uphill struggle to overturn NHS England’s policy. Only a significant increase in funding for medicines and the NHS as a whole would be certain to change the outlook. Chancellor Philip Hammond did provide some new funds for health and social care in the budget, but didn’t come close to addressing the deep budget shortfall. The Treasury view remains that the need to reduce government deficits and bracing for Brexit means there isn’t extra money for the NHS. As this policy looks immoveable, further deterioration in the NHS and major rows over blocked access to drugs look certain when the new rule starts to take effect by early 2018.